With 2015 nearly in our sights I thought it would be a good idea to talk about two different approaches to small stakes online cash games these days. In one corner you have what I would loosely call the "rakeback grinders." These are people who play high volume. This means 16+ regular tables or 3+ Zoom tables. Often at least half of their actual profits come from rakeback. On a big site like Pokerstars with a yearly based rakeback program which rewards heavy volume the goal is to reach Supernova for small stakes rakeback grinders. By getting to this level they can then trade their FPPs for cash bonuses, hit milestone cash bonuses and get some other secondary stuff like stellar rewards and tournament entries. Rakeback programs are different on all poker rooms but the end result is pretty much always the same. Play a lot and they will give you a portion of the rake that you paid back. And at some sites like Pokerstars they will give you a higher percentage depending on how much you play and the stakes that you play at. For many heavy grinders who get to reasonable stakes (typically at least NL25) this can add up to substantial amounts. Thousands per month by the time they approach mid stakes are certainly possible. If they can manage to just stay breakeven at the tables then obviously this is a decent payoff for them. Winrates are often fairly low for rakeback grinders though because when playing this amount of tables it is difficult to give enough proper attention to table selection and making high quality poker decisions. In the other corner we have the people who I would loosely refer to as "bumhunters." These people play much lower volume. This typically means 1-15 regular tables or 1 or 2 Zoom tables. A much bigger portion of their profit usually comes from winnings made at the poker tables. They tend to focus a lot more of their attention on finding the weak spots and making higher quality poker decisions. They can afford to do this because they free up a lot of time by playing much fewer tables than their rakeback grinder counterparts. 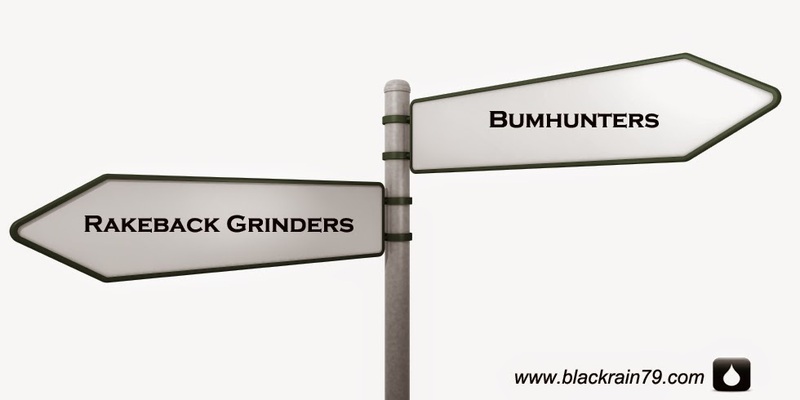 I Had to Decide, Rakeback Grinder or Bumhunter? Now I used to be firmly in the first category. Anybody who has taken even a casual look through the history of this blog will know that I used to grind 200k+ hands a month at low stakes. While I was able to keep my table winnings fairly high in softer games I was also certainly keen to get those rakeback rewards from heavy volume as well. This worked very well for me for many years. I would simply open up as many tables at the micros as the poker room allowed me to (24 on Pokerstars) and grind for hours on end knowing that I would likely come out ahead and that I would score a bunch of rakeback in the process as well. About 5 years ago though the games started tightening up. No longer could I just open up 24 random tables at NL25 or NL50 on Pokerstars for instance and expect to print money in my sleep. I actually had to actively table select in order to maintain my previous results. This is not the easiest thing to do when you have this many tables running because your time is obviously limited. Many of the regs started to gradually get better as well so I had to actually think through hands a little bit more in order to find new ways to exploit them. Again, this is something that works fine when playing 8 tables but not so much when playing 24. So I eventually got to the point where I had to make a decision. Was I willing to accept a small winrate and big variance while keeping my rakeback rewards or cut the tables substantially and start winning again at the pace that I was formerly used to? For me this was not a very difficult decision because I have been an extremely competitive person my entire life. I play this game to win. I am not the kind of person who can accept a small winrate with massive variance on a day to day basis. I am well aware that every time I sit down to play poker that I could lose but this should be a rare occurrence in my opinion. With extremely low winrates of say 1bb/100 or 2bb/100 though (which is what most rakeback grinders these days are making) they are probably looking at losing around 40% of their sessions. This is simply unacceptable to me. So several years ago I did indeed start cutting the tables in a big way and to this day I rarely play on more than 8 at a time. This affords me much more time to find the tables with the fish on them and to make sure that I get the right seat versus them as well. It also gives me the time to dig much deeper into my HUD when I am involved in hands against good regs and find the lines to exploit their weaknesses. After dropping the tables from 24 to 8 my results at the tables also turned around in a big way. I went from grinding out a fairly miserable 2-3bb/100 existence at NL25+ while mass multi-tabling to approaching double digits again and coming away a big winner on most days. This is what appealed to me the most. This approach also reinvigorated my enthusiasm for the game. Rakeback grinding is just not the reason why I started to play this game in the first place. It really saps all of the fun out of it and makes poker seem like too much of a job to me. But this is just me. You need to decide for yourself how you want to approach this game. Many people are just fine grinding the long hours for rakeback and dealing with heavy variance. If this is you then don't let me persuade you otherwise. Money is money in poker. I don't care how you make it. Rakeback dollars spend just the same as the stack that you took from a fish. 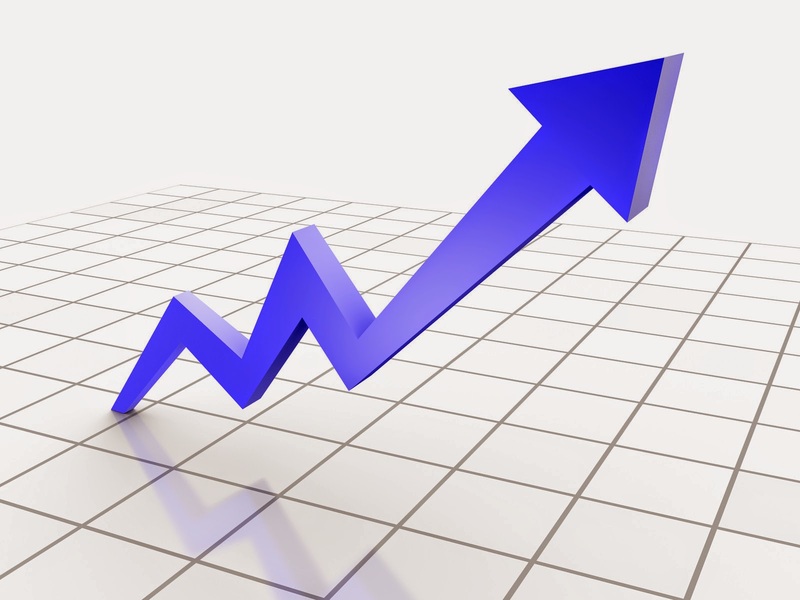 If you are able to show a profit in this game (no matter how you do it) then more power to you because you are ahead of the large majority of people already. Also, keep in mind as well that overall profitability is still higher for most people in small stakes cash games by following the rakeback grinding model. And once you get to mid stakes where Supernova Elite (worth 100K+ USD on it's own) becomes possible on Pokerstars this is just too big of a carrot for many people to resist going after. This is indeed why many professionals still prefer the rakeback grinding model and the long hours and heavy variance that comes with it. What Approach is Right for YOU? With 2015 coming up though you should consider what approach that you want to take in the coming year. Because like I said before, some of the big poker rooms run yearly based rakeback programs. Therefore, if rakeback grinding is for you then you should start to plan out your goals early on in the year. If the bumhunting model is for you though then I think you should start focusing on how you are going to improve in two categories in 2015. Firstly, you need to stay on top of the latest strategies and trends concerning table selection. Finding the fish and getting the right seat versus them has to be a major priority for you at the tables. It needs to be your full time job in fact when playing. Also, you should spend more time on improving your game because playing against regs is inevitable no matter how elite your bumhunting skills are. This can take many forms. More database reviews, session reviews, quality training videos, books, coaches, forums and poker friends. I want to emphasize the word "quality" here because there is a lot of garbage out there these days. Don't just listen to anybody. Remember that most people actually lose at poker. Ultimately you need to decide the path that is right for you. While there is likely still more money to be made as a rakeback grinder across the board in today's games, don't expect to crush anything besides NL2 or NL5 nowadays with this approach. What you give up in overall profitability by following the bumhunter model is often balanced out in less obvious ways though by becoming a more skilled poker player overall. There is also a psychological edge to bumhunting as I discussed above that applies to some people (you win more often). There are clearly pros and cons to both and the ultimate decision needs to be made by you in accordance with your goals and approach to this game. I ran in informal poll the other day on my Facebook page and the results were pretty much split down the middle. I hope this article gave you some food for thought. If you have any thoughts on rakeback grinding versus bumhunting please leave them below. Which category do you consider yourself to be in? Which is better and why? If you enjoyed this article please "Like" or "Tweet" it below! Another fine piece yet again Nathan. I myself never liked the rakeback grinding approach. Leaves winning as my only option! Hey Nathan, thanks for another great post. Fairly new to poker myself and have two followup questions. 1. On pokerstars, do you get the rakeback cash once a year, or am i missing something? 2. For Rakeback Grinding, do you think there is any difference on zoom vs normal games on how you play, or is propper abc the way to go atleast untill nl10? 1) You buy cash bonuses when you accumulate a certain amount of frequent player points (FPPs) or reach a certain number of VPPs (VIP player points) to unlock a cash bonus. So when your rakeback is released is pretty much 100% dependent upon you. 2) There are slight differences in game play but overall the strategy is pretty much the same. Zoom is great for rakeback grinders because you can easily hop on a table and start pumping out the hands. Most bumhunters would never play in these games due to the inherent lack of table selection. I have some ideas about zoom games. 1. Zoom games, are a lot faster, playing fast poker, you play something like 3x more hands than on normal table. There is no table selection at all. So it looks like Rakeback Grinding. 2. But on the other hand, you can play only 2-4 tables, to having enough time to concentrate on each decision, crushing the limits and move trough them improving your skills all the time. And it looks like Bumhunting. Hey Gleb, as I mentioned to a commenter above I think the lack of table selection means that most bumhunters won't bother with Zoom. I pretty much never play these tables. They are great for rakeback grinders though. You are The holy grail of poker. Thanks again! I will keep my eyes peeled for your free hand analysis dealio!! Glad to help Notes. Happy to hear of your success as well. I know the progress can be slow at these stakes with limited time to play. But the tables aren't going anywhere. Just strive to get better each day in a little way and things will work out. 1: Zoom fit really well with my SNG background as both based on pre-flop game. (CTM helped me a lot on the adaptation process). 2:In micros NL2 - NL5 i feel like it gets closer to "real poker" as you do bluff more often and i even have a 4bet bluffing range as this games plays very aggressive, so in theory I'll be more prepared for the higher stakes than the general population. You think it makes sense to choose a rakeback game even knowing that i will only play 4 hours a day? Good stuff Rafa. Ya I think it is totally fine. 4 hours a day is more than most pros play I would say anyways haha. Great article Nathan! I love it..
good article, thanks Nathan! No matter zoom or regular tables, our profit 80+% comes from recreational players. Two reasons for me to be a bumhunter. 1,Jetlag. I live in HongKong, have to work midnight if playing zoom cause more recreational players during that time. While during daytime hundreds recre players on regular tables, and I only play 9 6max tables maximum . So easy to find 9 recre players. 2,Self-confidence. This is the most important thing for me. On the regular tables I have a significant edge to recre players&weak regs. In other word, more A game on regular tables. Any comment about this? Seems bumhunting is dead in the near future. I don't use seat scripts but I think it is probably a good idea that they are cracking down a bit on this as it has gotten out of hand especially in higher limit games of late. Bumhunting existed long before seat scripting and will exist long after it though. So it doesn't change much in my opinion. I bought your book earlier this week and it is a big help. And thanks for this post. It is a good "wake up call" for me to be realistic about what is possible. I have a quick question for you: Are you still sticking to PokerStars these days? The reason that I ask is that I have been playing at FullTilt and I believe the rake is much higher there for the micro-stakes. Thoughts? I am only playing about 1.5 hours per day, NL2 and NL5 (depending) and two tables while I learn how to manage everything. Once I get a bigger monitor and a few more weeks of play I will move up to 4 and then 8 (I hope). I play on Stars but also on a lot of other sites as well. Where ever the best games are. 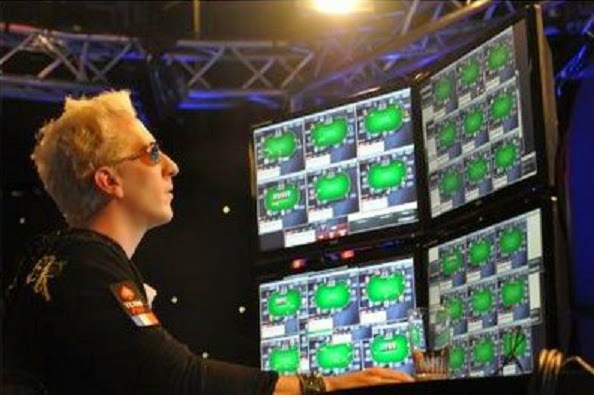 Hey i hear u always mention pokerstars. I currently live in new york and play on wining poker. (Americas card room) curious to know your opinion is on these american facing unregulated sites. I have a 27% rakeback deal and currently grinding 10nl and 25nl working my way up. I ask because i know a lot of players in my same position who want to play online and dont know if its safe or profitable. I have been playing there for about 2 years. They have great software and rewards program. My goal is to get a 100NL bankroll and then be able to cash out monthly to build a roll. Any tips or suggestions would be helpful. Thanks. Love the blog. Hi Eric, glad you enjoy my blog! I don't play on these sites a lot but from past experience I think the games are still decent there. Pokerstars is actually probably the hardest site out there of them all these days. That is why I rarely play there anymore. Winning is way more fun ! Having a good winrate is way more rewarding to me than the money, and the winnings will always be more than the rakeback, I would think, at least at the micros this should nearly always be true. Great article as usual. I would happily be a Rakeback pro, I wonder which you think is the best site to grind out a rakeback living in 2017? Thanks! I don't know enough about the current rakeback rewards on various sites to comment.